The industry has shown leadership when it comes to ads featuring children. Now it must prove that it cares about kids' exposure to advertising too. Did you know that advertising featuring under-18s in a sexualised way isn’t explicitly forbidden? As you’re all diligent professionals, I guess you probably did. I have to admit I didn’t realise that was the case until the Advertising Standards Authority launched a consultation last week. 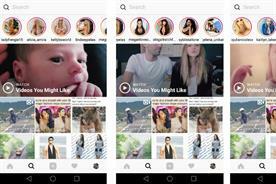 At the moment, the broadcast rules prevent brands from portraying children (ie under-16s) in a sexualised way, but there are no guidelines at all in the non-broadcast code. That’s not to say the current situation is a free-for-all. The ASA can and does rule on such ads under the more general mandate of upholding advertising’s responsibility to society and preventing marketing that could cause harm or offence. 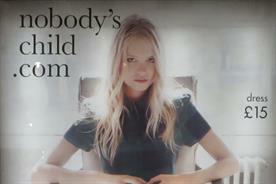 It was under those rules that it banned ads from fashion brand Nobody’s Child earlier this year. The model featured in the posters was 21 but looked younger. She was also portrayed in a sexually suggestive and vulnerable way. That – combined with the name of the brand – was deemed enough to prompt censure. Over the past two years, the advertising industry has tried to take a more proactive approach in the face of criticism. As such, even though the vast majority of the complaints it gets concerning children are about them being exposed to ads rather than featuring in them, the ASA has decided to clear up the rules. It will impose the higher bar of 18 rather than 16 (the age of consent) to keep things in line with wider European Union and UK laws on sexual exploitation – as well as what the ASA believes people will find most appropriate. The changes seem pretty sensible to me: protecting young people while providing brands with more explicit rules to help them avoid mistakes. The rules are not finalised yet – interested parties have until 19 January to comment on the proposals – but I expect they’ll survive in a similar form. The ASA is also being proactive when it comes to protecting the advertising children see. I understand it is preparing to unveil the results of its consultation into food and drink advertising. 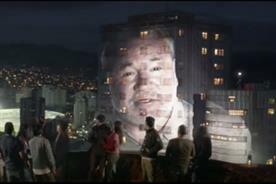 It is expected to introduce much stricter rules on non-broadcast ads, potentially bringing them in line with TV. Last month, a report that involved experts from 41 organisations said restricting advertising and sponsorship for "unhealthy" foods was the number-one priority in the UK’s quest to reduce its obesity rate. In the report, The Food Foundation cited the example of Canada – French-speaking families in Quebec, where all food advertising aimed at children under 13 is banned, are 19% less likely to consume "fast food" than families in Ontario, where there is no ban. The government’s childhood-obesity strategy stopped short of proposing an ad ban this summer but this problem isn’t going away. 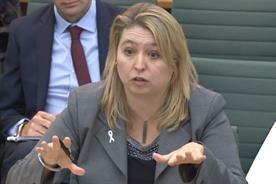 Culture secretary Karen Bradley has publicly expressed concern about children seeing TV ads for bookmakers. Who’s to say she will stop there? The industry must continue to show leadership on this. If not, it might find itself without the power to do so. Would a gambling ad ban on daytime TV be a mistake?